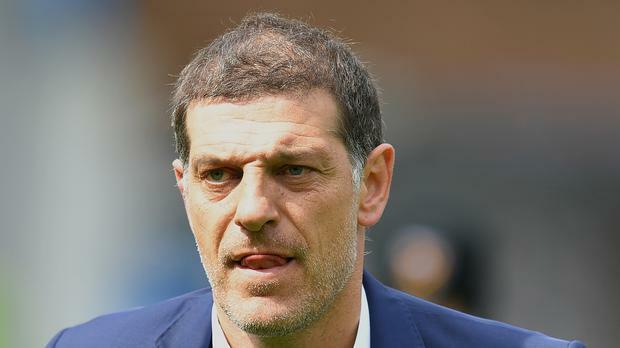 Slaven Bilic has distanced himself from an imminent return to management amid speculation over a series of vacancies. The Croatian, who was sacked as West ham boss last month after almost two and a half years at the helm, has been linked with the Swansea and Scotland jobs in recent weeks and more recently, the post vacated by Garry Monk at Middlesbrough on Saturday evening. However, asked on Goals on Sunday about his interest in the opportunities which currently exist, he said: "I know my position on the map of managers and coaches. "I know that I can maybe wait a little bit to rest a little bit, but I'm aware that I'm not in the category of the biggest ones who can switch off their phone and wait for a year and then turn it on and say, 'Here, I'm back'. "If something really good comes up, I will really consider it at least because I already miss it a bit, of course, and it's in your veins. "But I also need a rest." Bilic, who revealed he has received calls from "many clubs", hinted that he would prefer a job in England, but insisted it would be the project which would dictate where he ended up. He also suggested a return to international football is not on his agenda. He said: "I was there for six years plus two at Under-21 level in Croatia. I enjoyed it big-time. I was manager of my country and there's no bigger honour than that, and responsibility and pressure, of course, so that helped me a lot - and I was doing that when I was really young. "Never say never, but I am enjoying working on a daily basis, to be fair, as a club manager."